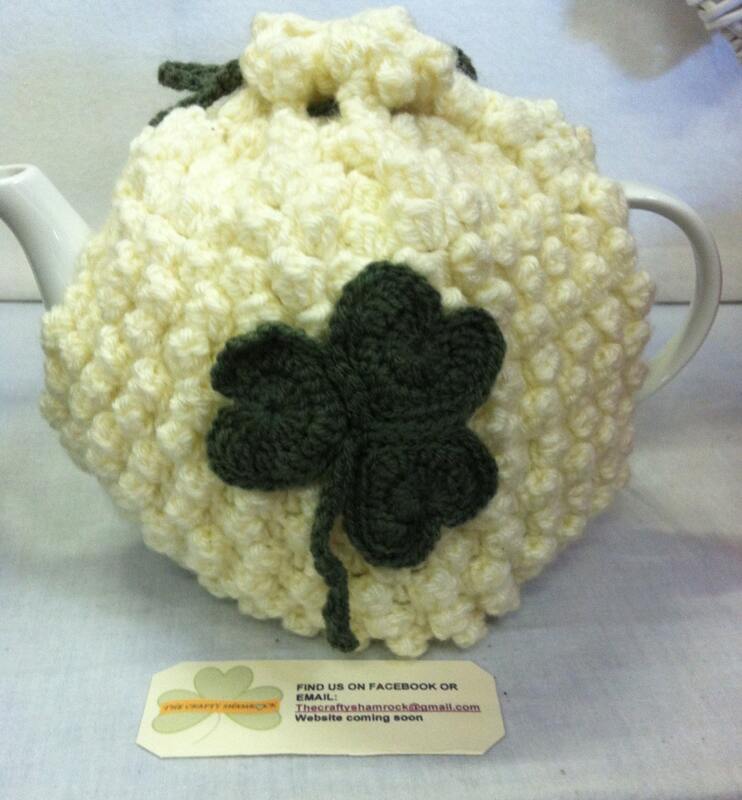 Etsy Ireland Team Tea Cozy. Shamrock Detail Crochet in Irish cream Aran wool and embellished with a beautiful crochet shamrock in a sage green wool. It is made from a bobble stitch so will help keep your tea warm for longer. Tea cozy fits a 6 cup tea pot. There is an opening for the spout and handle. There is a lovely wooden button to close tea cozy under the handle and a drawstring to close at the top.